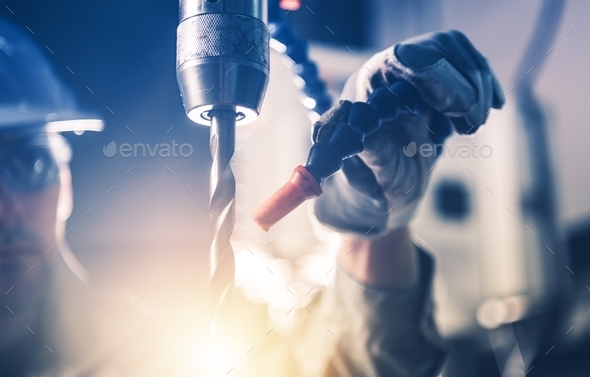 Professional Metal Drilling. Metalwork Industry Theme. Heavy Duty Drilling Machine Closeup.